Tag stock paper for the last copy. That is a hard or card like paper that is firm. 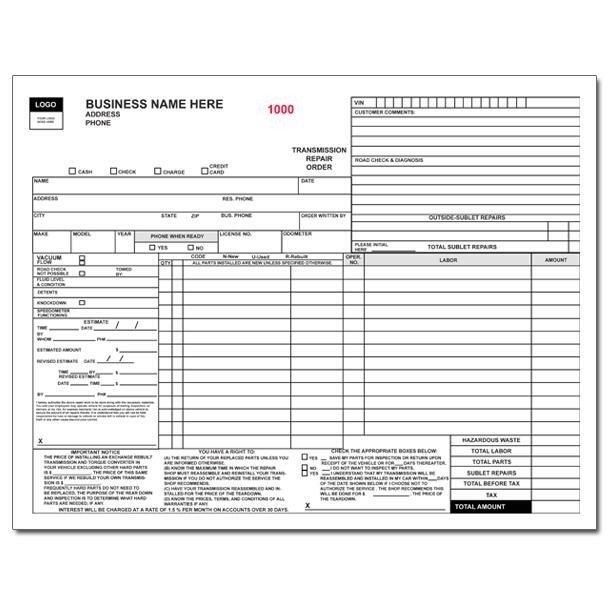 There is a form on the back of the last copy additional parts listing, labor etc. Two holes punch for hanging or register. Perforation for easy detach of parts. The ink colors are blue and red. 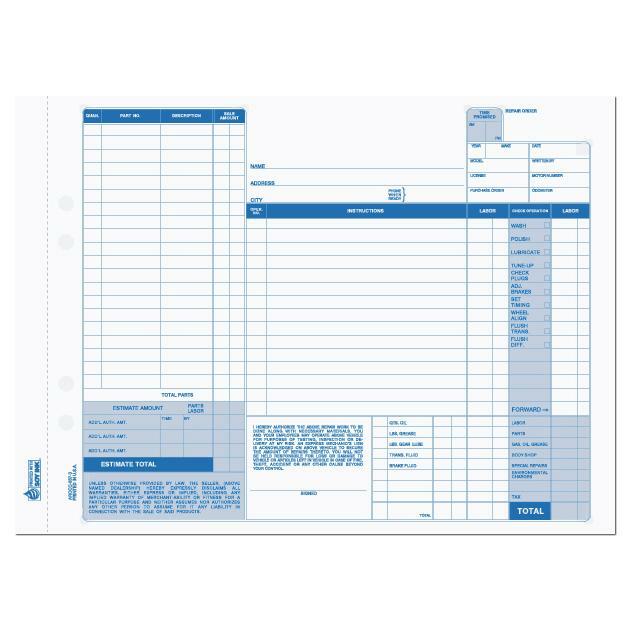 Your logo, business name, address etc, will be printed in blue for consistency with the rest of the order. It cost a little more than the standard form, but it is worth every penny. 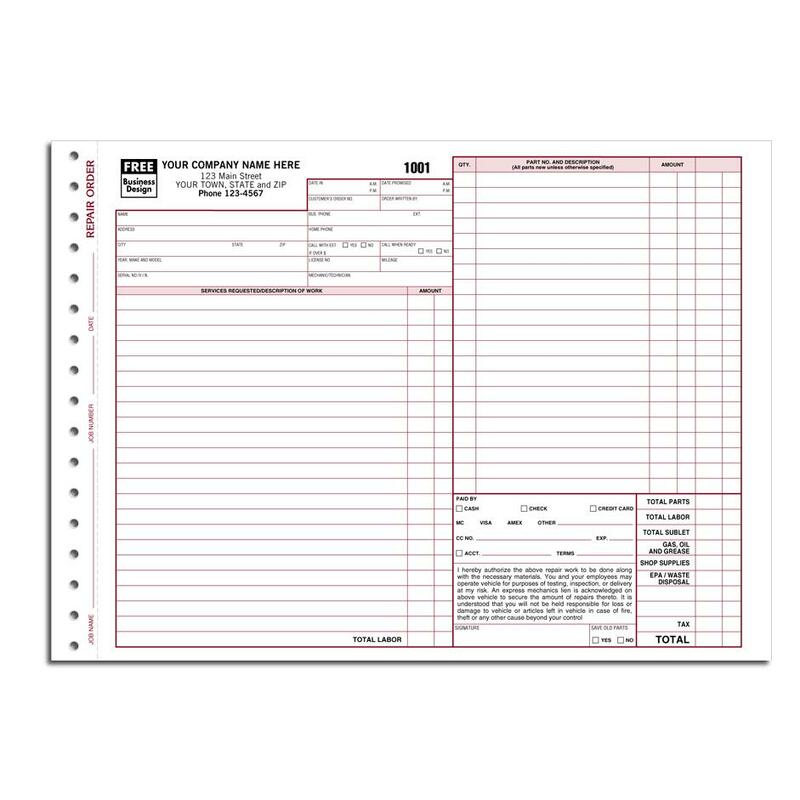 It has a large 8.5 x 11 size so there is adequate space to record all relevant information. 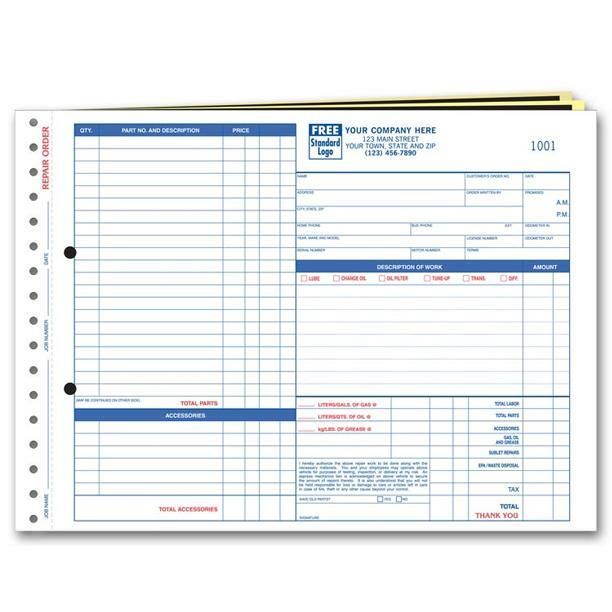 Equip your auto repair shop with this order and you with be well satisfied. Phone: 1-800-492-1218 or request a PRICE QUOTE.